Madrid is an amazing city. 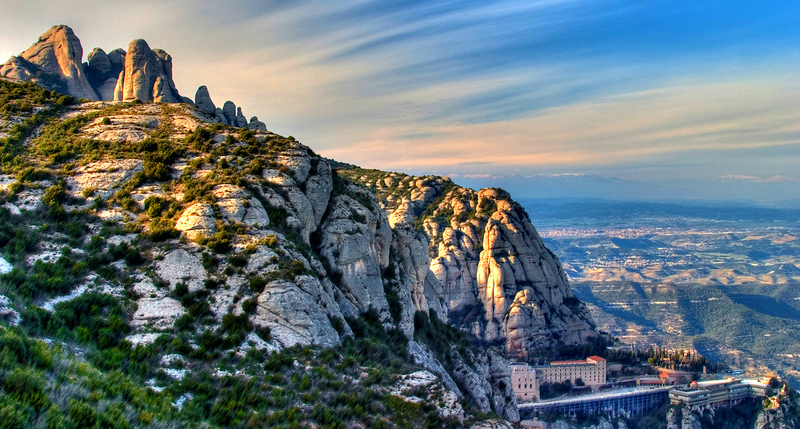 Spain’s capital is well known for its great museums, its beautiful architecture, and its dynamic cultural life. Thus, it’s no wonder that the city attracts thousands of visitors from all over the world. Of course, Madrid also offers lots of places to relax like parks or cafés. Some of them have amazing views that allow you to unwind after a day full of sightseeing while enjoying Madrid’s incredible vistas. 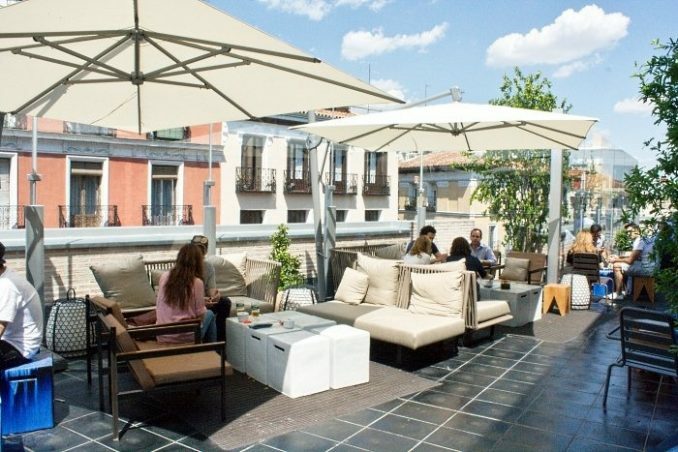 If you come to this wonderful city, maybe staying at Aspasios Boutique Apartments, you will have the opportunity to enjoy the best rooftop bars in Madrid. So here we go. The Círculo de Bellas Artes is one of Madrid’s most important cultural institutions. 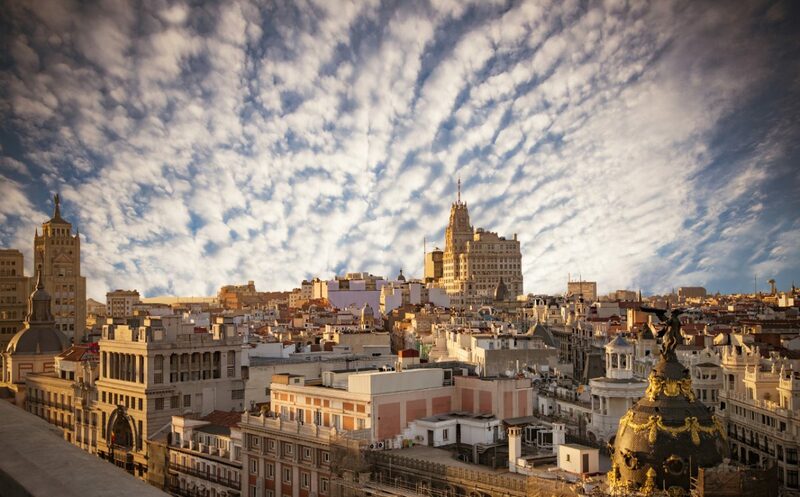 It is located at number 42, Calle de Alcalá, in the very center of Madrid. Since being founded on 1880 the Círculo de Bellas Artes is well known for its wide cultural agenda that includes various exhibitions, literary soirées and other artistic events. 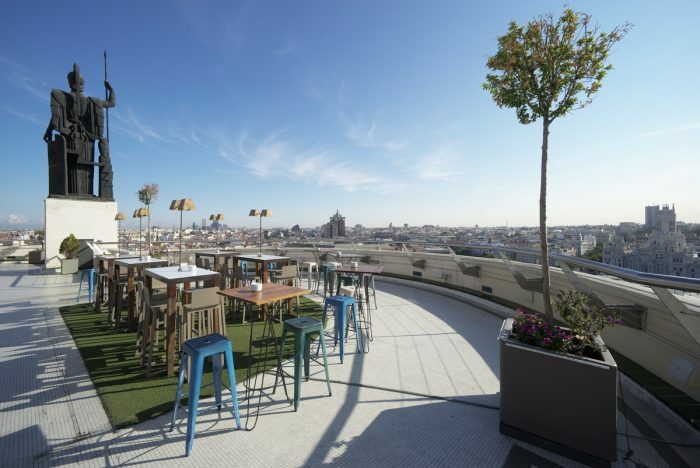 In addition, the place features an amazing rooftop terrace with a wonderful café, where you can have a cup of coffee, a glass of wine or a quick meal, while looking at Madrid’s incredible skyline. One of the best things about this terrace is that it has a 360° view. Thus, you can see all of Madrid from just one spot. El Corté Inglés at number 2, Plaza de Callao is one of Madrid’s biggest department stores. If you want to go shopping, that’s certainly the right place for you. Even if you are just looking for a small present to bring back with you, it’s very likely that you will find it there. On top of that, there is a restaurant on the last floor of the building where El Corte Inglés is located. There you also have a wonderful terrace where you can enjoy your coffee on a sunny day. The views over Madrid’s Gran Via are just incredible. And there is even free Wi-Fi you can use. Definitely a great place to hang out! 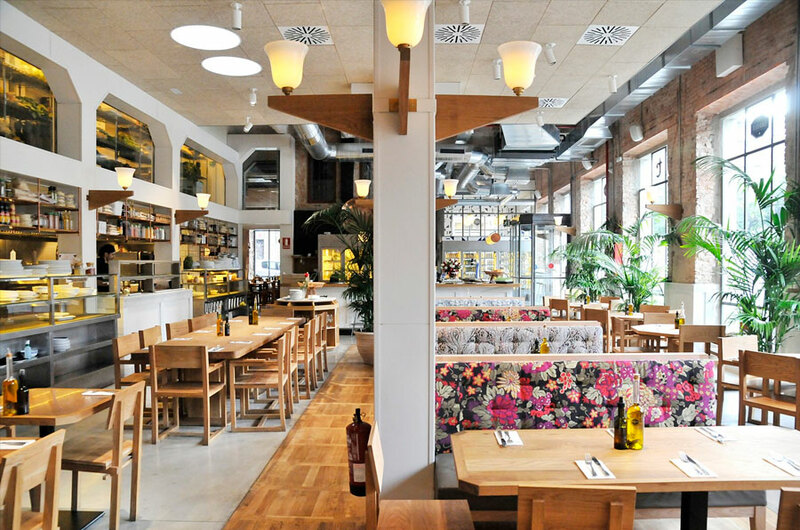 The Mercado de San Antón is one of the best places to taste delicious food in Madrid. Located at number 24, Calle De Augusto Figueroa, in the Chueca neighborhood, this fresh food market is a great place for anyone who wants to learn more about the Spanish cuisine. The Mercado de San Antón offers a wide range of local produce and traditional dishes that you can try in one of its food stalls. The new building of the market was built in 2007 and features several levels. The third floor houses a charming restaurant with a lovely terrace. From there you have the opportunity to see Madrid’s dynamic street life while taking a break from the hustle and bustle of the big city. 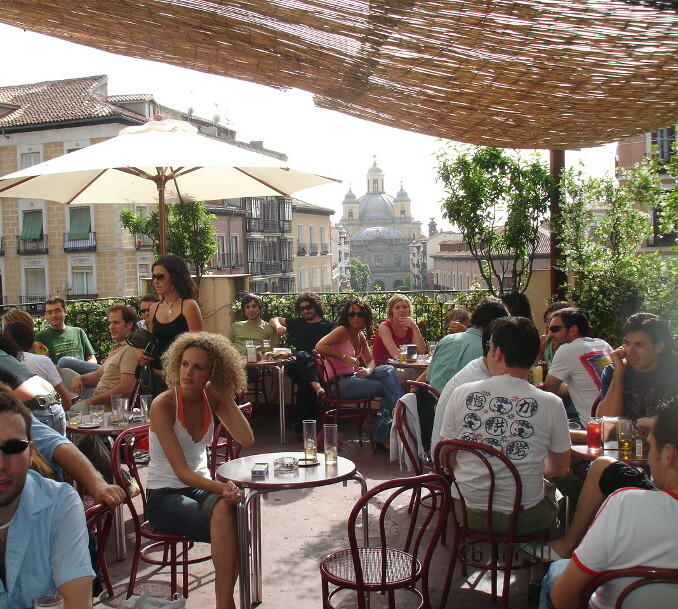 If you are looking for a fun and easy-going spot to enjoy your afternoon in Madrid, El Viajero is your place. This wonderful bar and restaurant is located in a lovely 19th-century townhouse in the hip La Latina neighborhood. 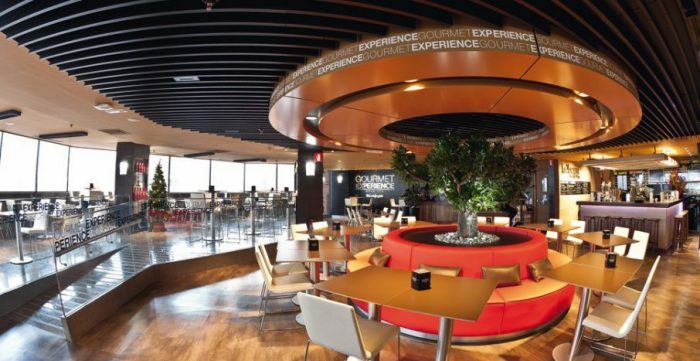 The place is great to have a quick snack and a relaxing drink. El Viajero’s mojitos are particularly recommendable. But of course they also have lots of other delicious drink options. And when the weather is fine, which is mostly the case in Madrid, there is nothing that can stop you from leaning back on El Viajero’s amazing green terrace and watching then sun go down over the city. Amazing!